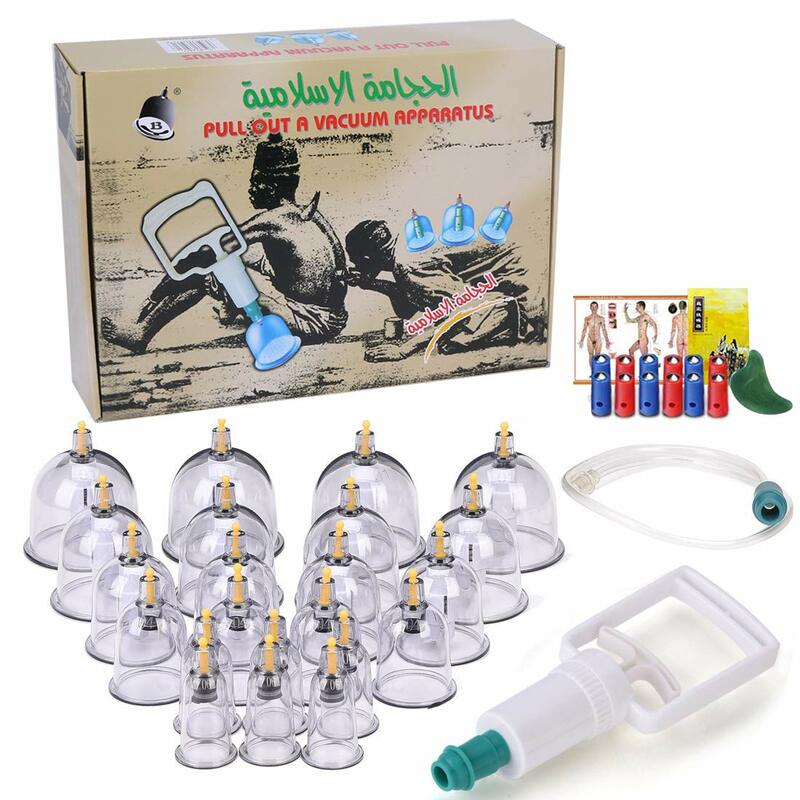 INSTEAD OF MEDICINE: Chinese cupping set is an alternative medicine treatment package. Our premium quality Chinese Cupping therapy sets are engineered with medical grade plastic, provide superior suction & control, which is designed to help improve circulation,relieve the pain of joint and back, lower blood pressure and much more. STURDY SUPPORT : Impact Resistance ABS plastic Cupping Therapy suction capacity is powerful! Each unit in the Chinese Cupping set is durable，and the smooth edge of the cupping has the strong adsorption that can maintain a long time. CUPPING THERAPY SETS INCLUDES: 12 cups OD 2.75 inches , 6 cups OD 2.36 inches, 2 cups OD 2.05 inches, 4 cups OD1.73 inches. 12 magnetic needles, one large suction gun (25-inch long extension tube), English manual. SAFE &EASY TO USE &REUSABLE: The Chinese Cupping therapy set is easy to reuse ,operate and safe for home self-healing. Use pressure easily to release the valve. Equipped with removable bio-magnetic points. Magnets are designed to provide acupuncture points for the skin they touch. WARNING:When you received the Cupping Therapy Sets, you can contact us by mail, we can send you the ACUPRESSURE BOOKS about PDF/TXT FORMAT. Clean skin thoroughly and remove body hair before Cupping Therapy . Excessive body hair will result in weak suction. After cupping therapy there will be a variety of skin reactions.NOT WORRIES, these bruises are usually painless and disappear within a few days of treatment.